This colorful 5� x 5' freestanding banner of your favorite yellow sponge. 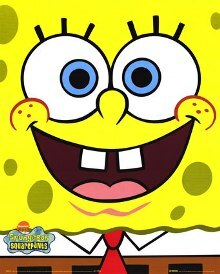 Sponge Bob loves to go jelly fishing so help him catch the jellyfish. Toss three jellyfish into his open net to win.